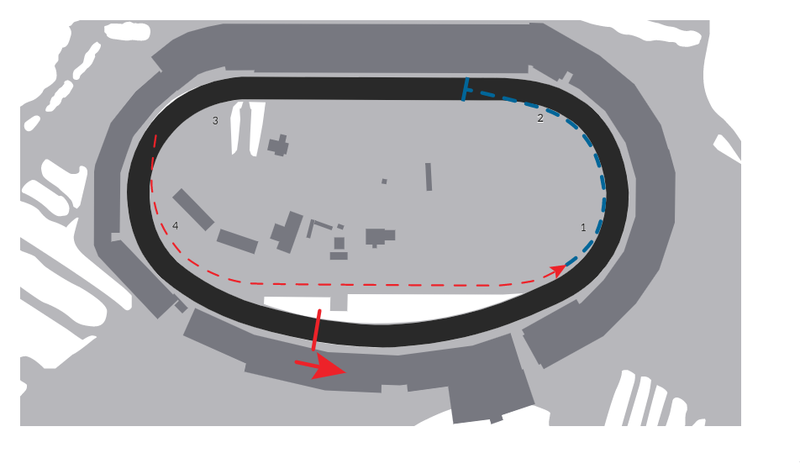 Is Richmond Raceway America’s longest short-track, or its shortest superspeedway? Either way you look at it, Richmond embodies the characteristics of both and is a rocket-fast challenge to every driver who competes on the three-quarter-mile oval. Racers from NASCAR, IndyCar and USAC have found that Richmond requires both power and handling. To win here, you’ve got to have it all. Auto Racing in Richmond launched in 1946 at the Atlantic Rural Expedition’s 1/2 mile dirt track as part of the AAA Championship Car season, which was the first car racing following World War II. Four track configurations later, today’s Richmond Raceway features 55,000 grandstand and premium seats, a new $30,000,000 infield which will open in Fall 2018, and the only NASCAR venue where all of the racing action is held under the lights.